We’ll start with the Micro Pro. We got a small cut in the sidewall of our tyre that our sealant wouldn’t seal. We quickly got off and pulled out the air stopper. This is the sharp pointy piece. Put this into the hole quickly to stop any air from coming out of the hole. 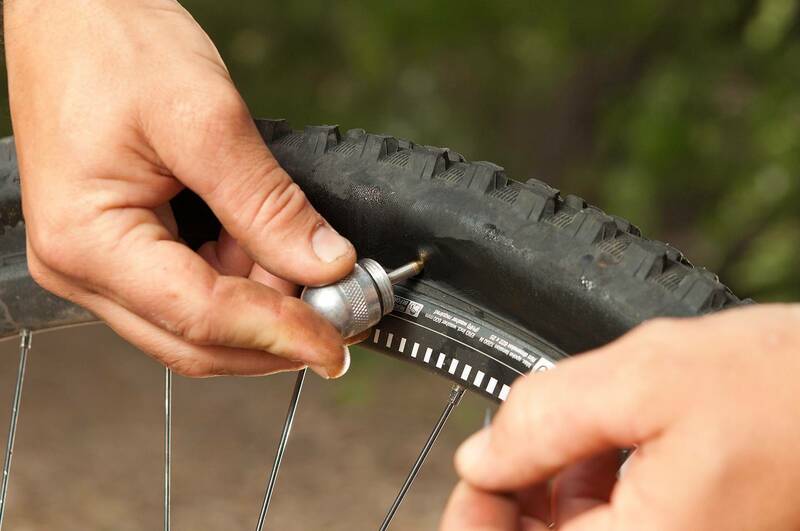 It is always easier to put a plug in whilst the tyre still has pressure in it. 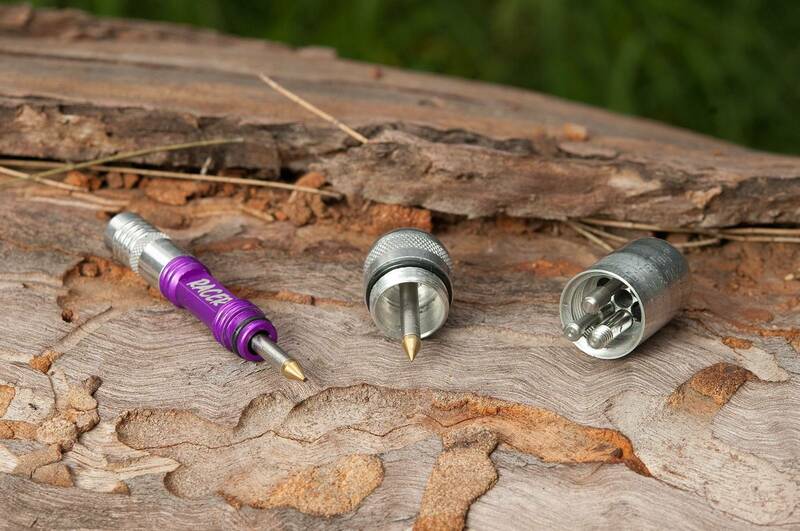 The insertion tube should already be threaded into the top cap of your Micro Pro with a plug installed in it. Keep one loaded and ready to go at all times. 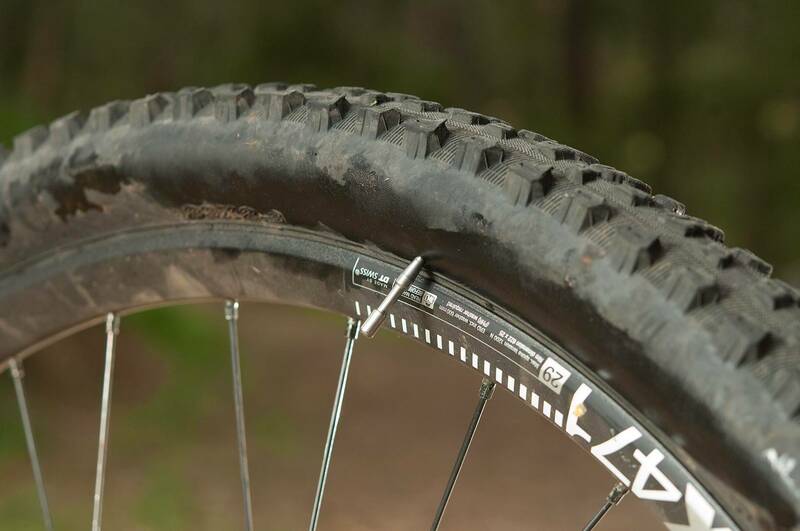 Line up the insertion tube with the puncture hole. 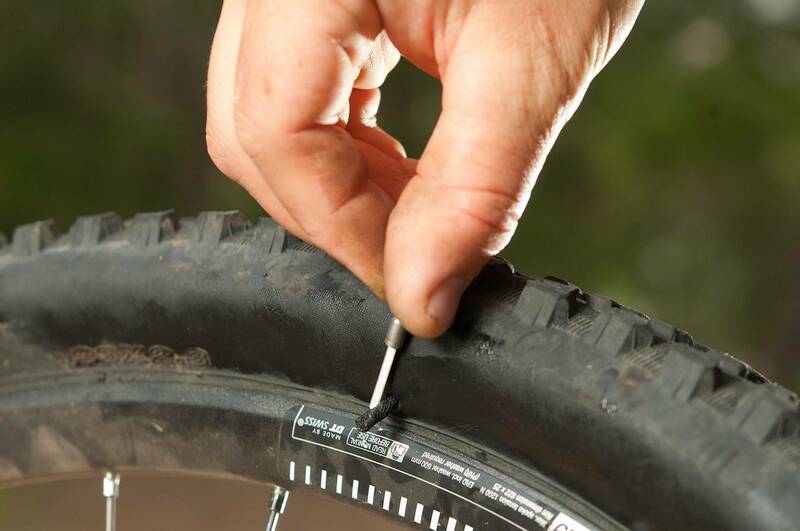 Quickly remove the air stopper and push the insertion tube into the puncture hole. Remove the insertion tool gently making sure the plug stays in the tyre. 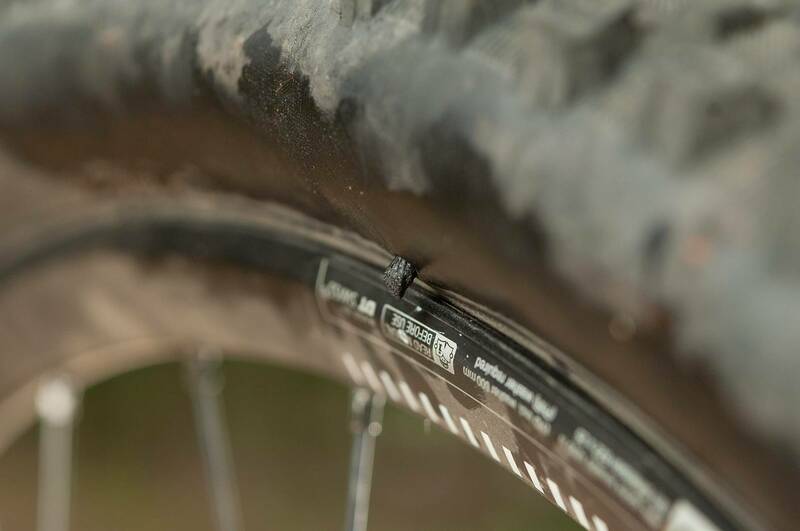 The hole should now stop leaking, if not give the wheel a spin and let the tubeless sealant do its thing. You will need to trim off the tail of the plug using the micro knife included in your kit. 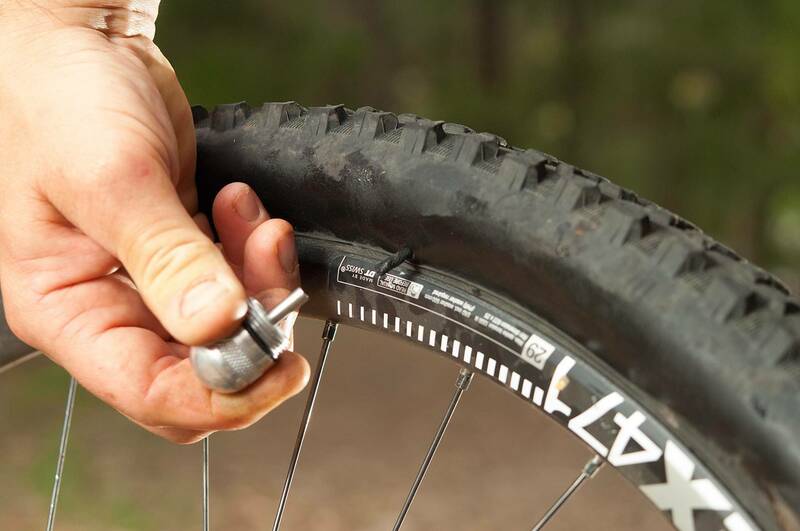 Once you have done that squash down the remaining part of the plug into the tyre. The Racers Edge is very similar to the Micro Pro, just without a few extra pieces. It also has two different sized plugs. A regular size and a mega size. You can use more than one plug in the same hole. This one sealed using both ends of the Racers Edge, a mega plug and a regular plug, due to the large size of the hole. 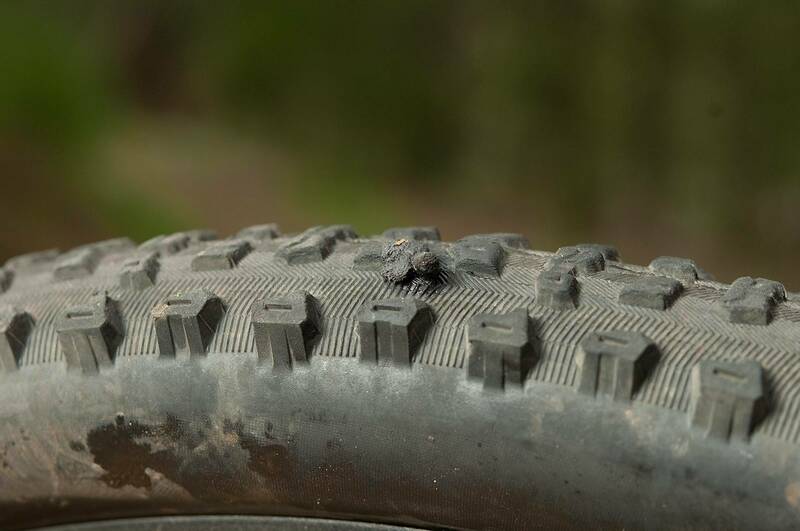 On longer rides we’d usually take a small bottle of sealant with us. 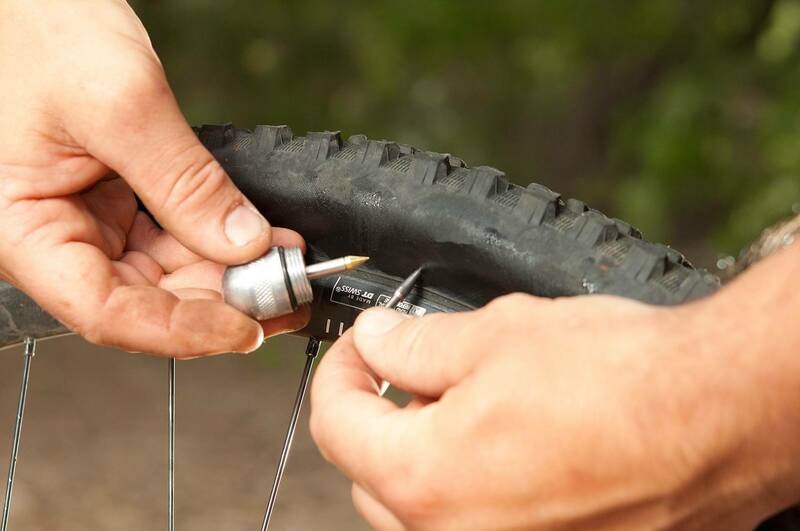 If you lost a lot of sealant trying to get your flat to seal, not might be worth topping up whilst on the trail. You may have also lost some pressure. Top up the pressure with a C02 or pump. 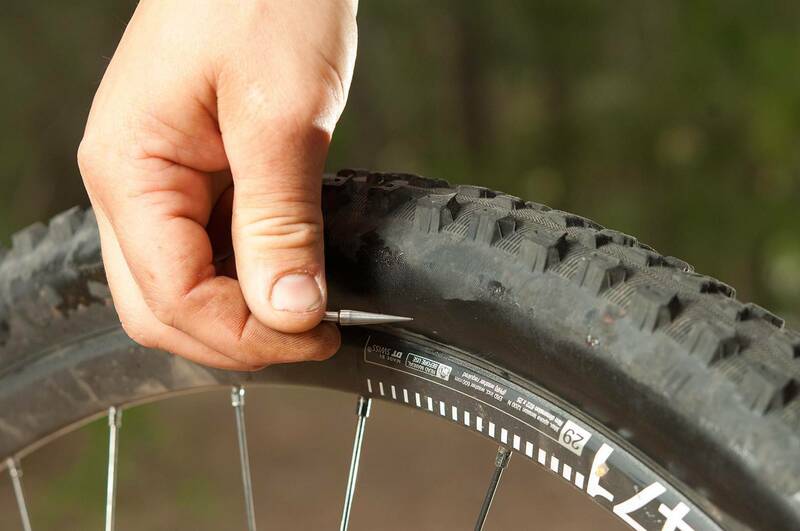 How to plug tyre punctures with Dynaplugs! 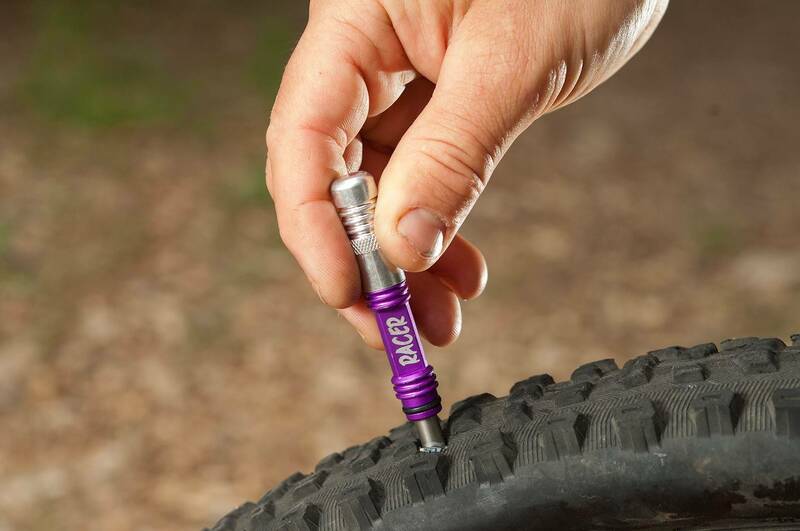 Today we are going to explain how to use a Dynaplug. 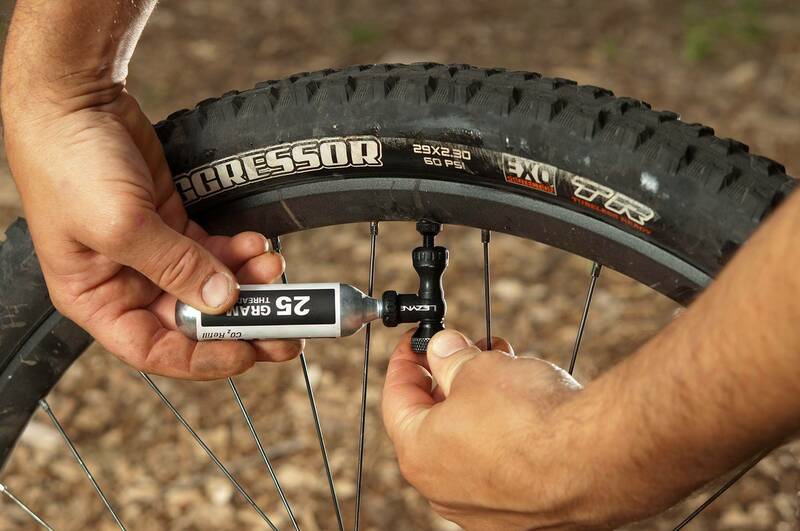 These handy little things will repair any tubeless tyre setup on the trail, and with some experience in how to use it, you’ll be riding again in no time at all. There are a few different types of Dynaplug tools. 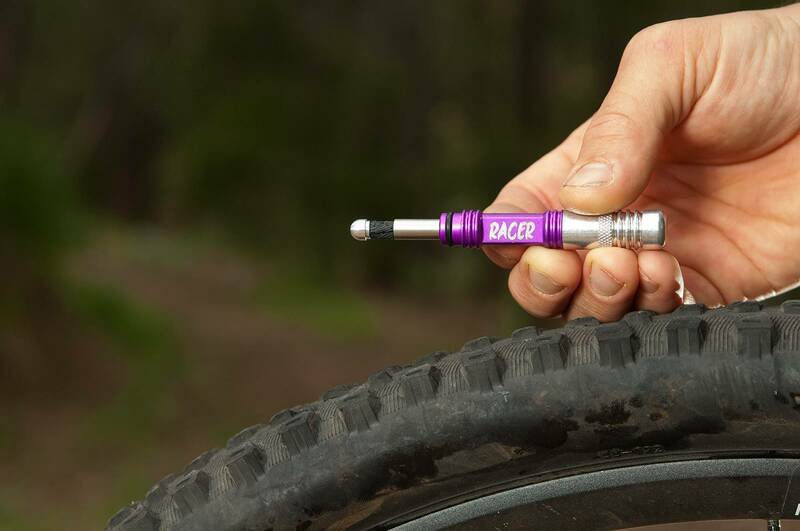 We’ll use the two most common ones, the Racers Edge and Micro Pro. Click through the gallery for the step-by-step guide.